Ullman DynamicsNewsRuptech 32 upgraded with Patrol Jockey seats! Ruptech 32 upgraded with Patrol Jockey seats! 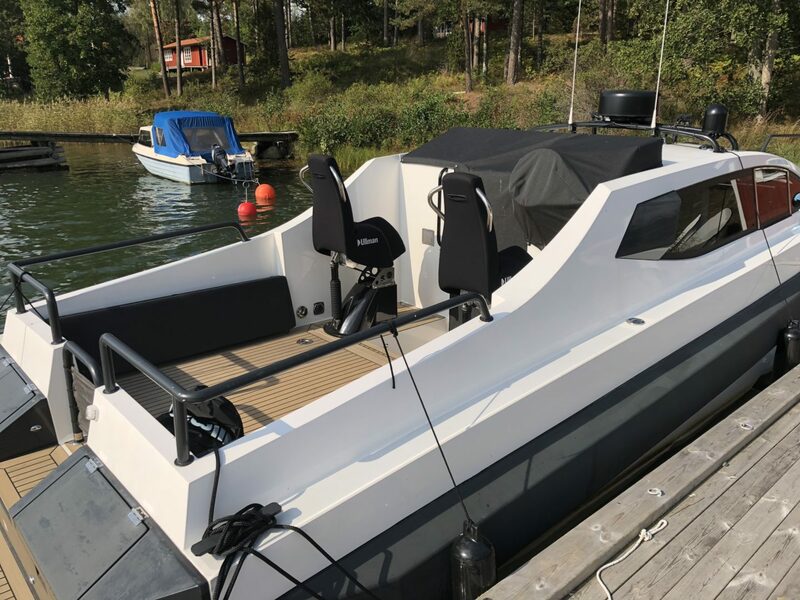 A customer earlier this year upgraded his Ruptech 32 with two Patrol Jockey seats for the second helm position outside on the aft deck. Standing driving at high speeds is not a safe option. 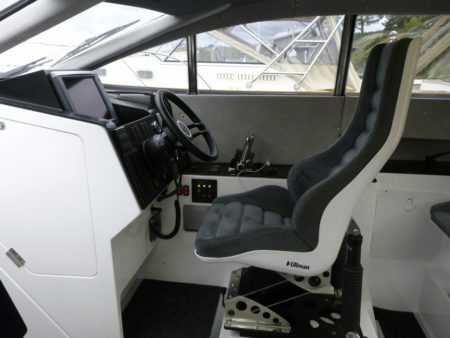 This Ruptech 32 has four Daytona Crew seats in the cabin for comfort cruising all year around. 01 April 2019 Ullman Aerodynamic Console and Jockey seats in the Caribbean! 01 April 2019 The German Police once again chooses Ullman seats! 27 March 2019 New SAR RIB for Severn Area Rescue Association! 06 February 2019 Olimp M-46 with Ullman Patrol Jockey seats in Dubai! 25 January 2019 Ullman in Abu Dhabi 17-21 February! 25 January 2019 Aluventure 11000 Patrol by Eysysla Yard and Ullman Echelon! 23 January 2019 Icelandic Coast Guard chooses Ullman seats!